Bees For Medicine provides free removal of live wasps, yellow jackets, and hornets. Beginning in 2019, Bees For Medicine will serve the greater Knoxville area. 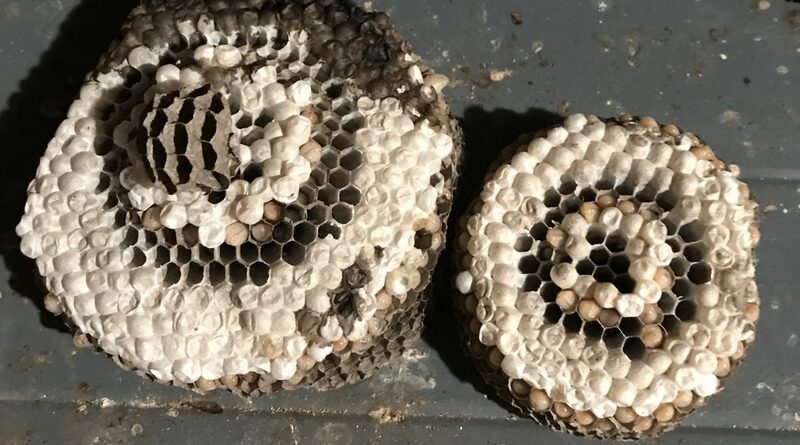 Because Bees For Medicine collects the insect’s venom for medical purposes, no chemicals will be used at your home during the removal process. About Greg Allen: Bees For Medicine is operated by Greg Allen. For more than 40 years, Allen has collected insect venom during the summer months for a laboratory that uses the venom for medical products and applications commonly used in immunotherapy. Allen does not charge you a fee to remove your wasps, yellow jackets or hornets since he is paid by the laboratory. Allen’s primary occupation is railroad accident investigations, which has allowed him to travel all over the country, visiting 36 states in the past 40 years. He has degrees from Ohio University in History, Science and Education and served in the US Army in Vietnam in 1969. He has been married to his wife, Jennifer, for 50 years and has two children and two grandchildren.